The Pebble Beach Concours d'Elegance is the premier event for high-end classic cars, and the auctions there often yield record-setting sales. 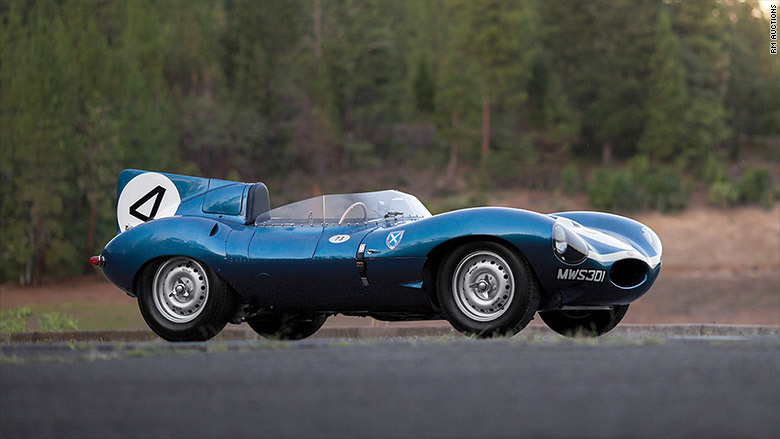 This D-Type commanded the highest price paid for any car this year's auctions, and set a record to become the most expensive British car ever sold at auction. The iconic race car was driven by the Scottish racing team Ecurie Ecosse -- French for "Team Scotland," and won the LeMans 24-hour endurance race in 1956.